FRESH NEW HOME FEEL WITH ALL NEW INTERIOR PAINT AND WALLPAPER REMOVED!! Amazing 5 bedroom/4 bath home with a very desirable floor plan to accommodate all your needs! Formal living room, currently being used as an office, will keep your work space quiet and private. Formal dining room has easy access to the Butlerâs pantry connecting to the beautiful kitchen with granite countertops, stainless steel appliances, double ovens, island and breakfast bar. Tons of natural light with windows all along the back to enjoy the back-yard view and watch friends and family gather around the summer kitchen! Large family room with wood burning fireplace, hardwood floors and high 10â ceilings. Spacious downstairs master bedroom and a guest room with full bath for your short- and long-term visitors. Send the others upstairs to sleep and play with a large bonus room separating one bedroom/bath and 2 bedrooms and a bath on the other side. Plenty of room for all the toys with a 3-car garage and located on a cul-de-sac street with a playground and pavilion practically in your front yard! 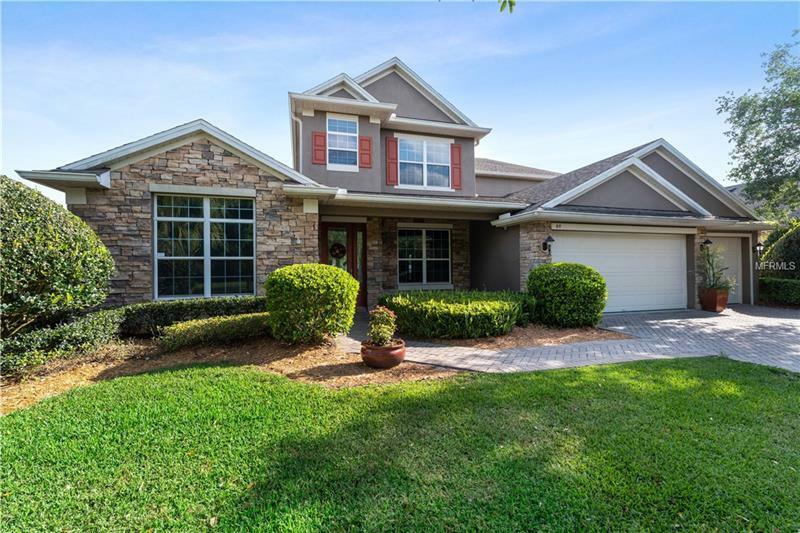 All of this in a wonderful gated community close to the heart of Oviedo! Donât pass on this home â you wonât be disappointed!